Welcome back to Italy, the country where the distance between tragedy and farce is shorter every day. As for the title of this post, the 2018 political standoff goes on with more and more shades of political degradation with no end in sight. Yesterday our president Sergio Mattarella refused, once for all, to greenlight the start of a new government. In our constitutional laws, he was authorized to do that, but it is the first time ever that the motivation of such denial was tied to the possible destabilization of the Euro currency and to the general connection between our national economic system and the EU financial system. That’s thin ice at best. I’m an Italian citizen with some understanding about what’s going on in my country. 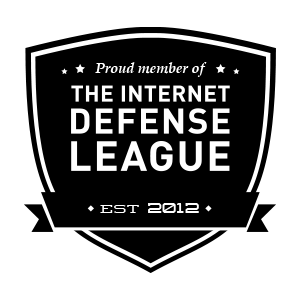 This post is an open letter to you and to the people at Business Insider. I have just read this article (LINK), where my country is poised as the next big threat to Eurozone and to the sheer existence of the Euro currency. You have heard of the confrontation running between Greece and EU about economic matters and maybe you’re waiting for the results of today’s referendum to know if a tiny country will refuse or not to find another economic agreement with the so-called “troika” (that’s ECB, EU and IMF). The best thing of all this noise is about the time dedicated by media on this kind of problems. Maybe, just maybe, more and more people will start to understand to monumental mass of lies that goes around modern-day economics, starting with the money itself. This will be the last post of this year and my choice is to dedicate it to the Greeks. Yes, to the people of a country that has been almost destroyed in the last years for economic reasons, for the people who has seen everything change for the worst and left behind to pay errors committed in many places out its boundaries. It’s a tiny nation, with less than eleven millions people who found themselves deep down a national debt like never before. At the very last moment a plan has been approved in order to save Cyprus from bankrupcy. Why am I not surprised? A few days ago I write another about this situation, the basic idea was to stigmatize that ten billion Euro are small money if we consider the hundreds of billions (or maybe the thousands) Euro already used to save other countries and/or their major banks. Cyprus is not the real problem about Eurozone, nor it’s the worst place to consider when it comes to bad finance all aroud Europe. 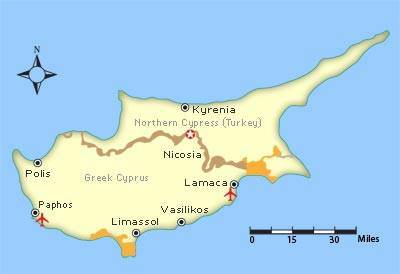 What is Cyprus today? A symbol. It’s a slap in the face of russian oligarchs, who used for years this small island to practice money laundering on a massive scale. It’s a slap in the face of a number of financial operators who used the fiscal laws of Cyprus to pay the lowest tax cut possible in Europe. It’s a warning, a strong one, to Malta (and thru Malta to the UK). What Cyprus is today it’s a warning to all of us european citizens. The decision to drag a percentile of bank deposits, no matter how much, it’s not only a financial measure made by a scared government but the demonstration that under the combinate pressure of ECB, IMF and WB there are very few chances to escape their decisions. In Italy we already experienced such a fate, back in the ’90s. In order to get enough money to pay the interests on our national debt the government got a small cut, 6 part on one thousand, from every bank account. So, what about tomorrow? What France will do later this year when the pressure of foreign investors will try to crush its economy? What Slovenia will do next month to lift the pressure of a compromised economy? Last Sunday, March 2nd, AP reported of massive demonstrations held in Portugal. The basic matter is about economics, to go against the government decision to cut national budget in order to meet the objectives set up by the “Troika” (EU, IMF, WB) to resolve all the issues about debt and refinancing. This time the combined number of protesteers reach the one million level. It’s always a big number but became pretty impressive when you think that Portugal got a total population size about 10.6 millions. It means that one on ten has been on the streets, demanding a stop to austerity measures. 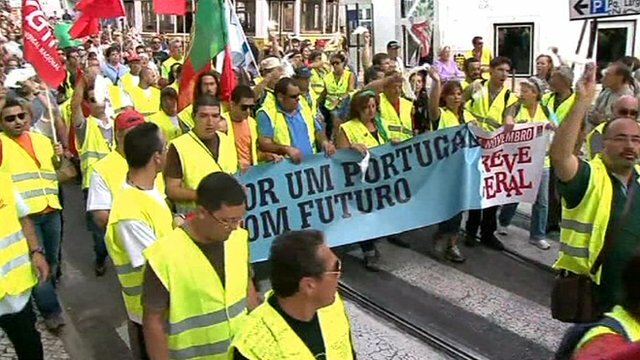 Like many other countries in Europe, Portugal is facing a growing number of unemployed, a shrinking welfare state and an economy in deep recession. In 2011 the national government stipulate a number of agreements to get an huge bailout (more than 100 USD billions). With a negative cycle in all the main economy sectors the only way to reach the planned steps (for the current government) is to cut national budget. Four years of recession and the perspective to have at least one more is too much for the portoguese population. Political situation is hot to say the least and the pressure from the streets is becoming too high to stand for the national authorities. So it’s time to say “no”, to put an end to an agreement too heavy for this little country. The recent examples set by Iceland, that recovers its own financial crisis by a plain refusal to pay its debt to foreing private banks (about 5 euro billions) and from Argentina, that force a massive reconsideration of its national debt in the face of IMF and WB, could drive countries like Portugal and Greece to find a strong way out the Eurozone with unexplored consequencies. Are we ready for such a scenario?